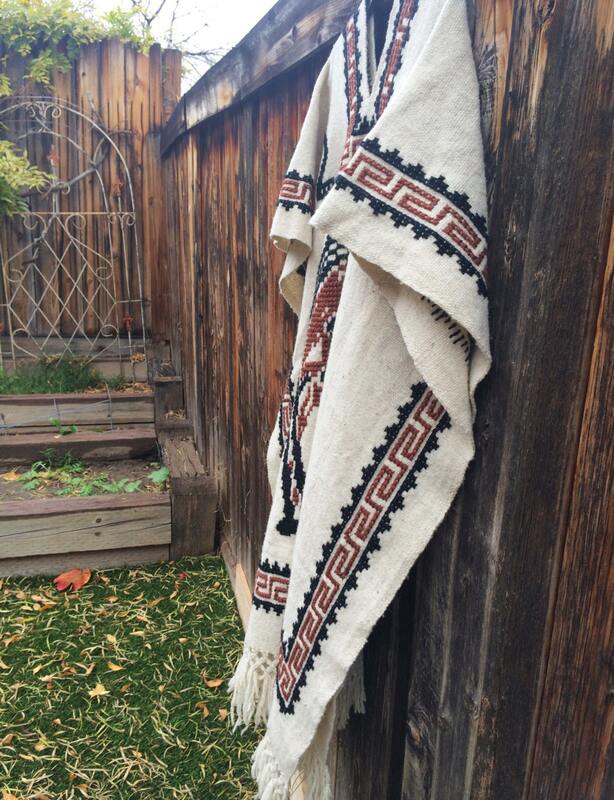 This amazing poncho comes from the estate of a family who lived and breathed horses--from rodeo cowboy to race horse trainers--and this was one of my favorite finds from the estate. 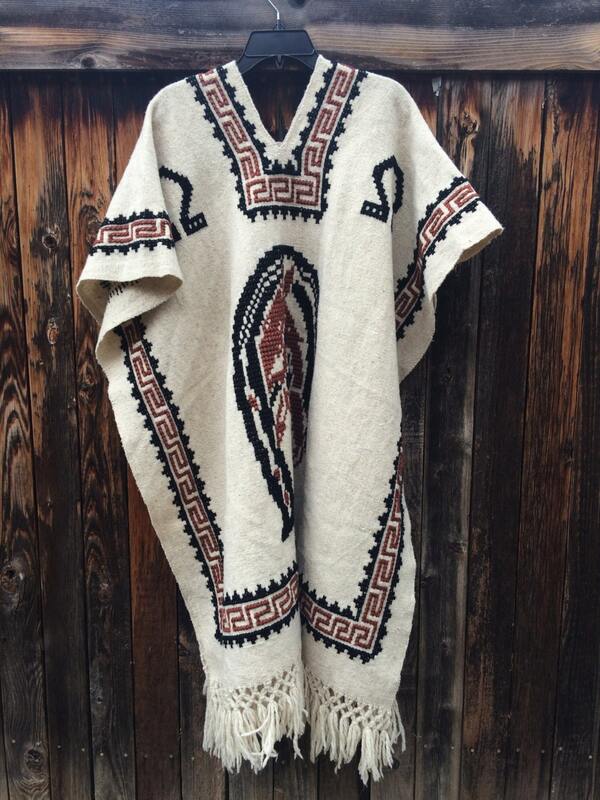 A hand-woven hand-embroidered wool poncho, V-neck and super long, in very good condition. 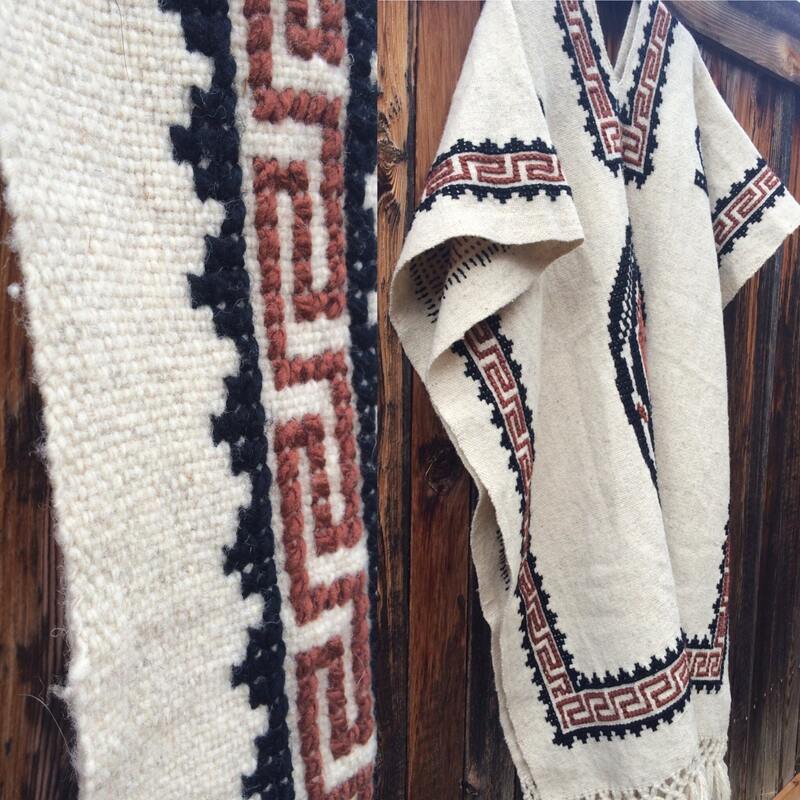 We believe the poncho was made in the 1960s or 1970s--likely from Mexico. 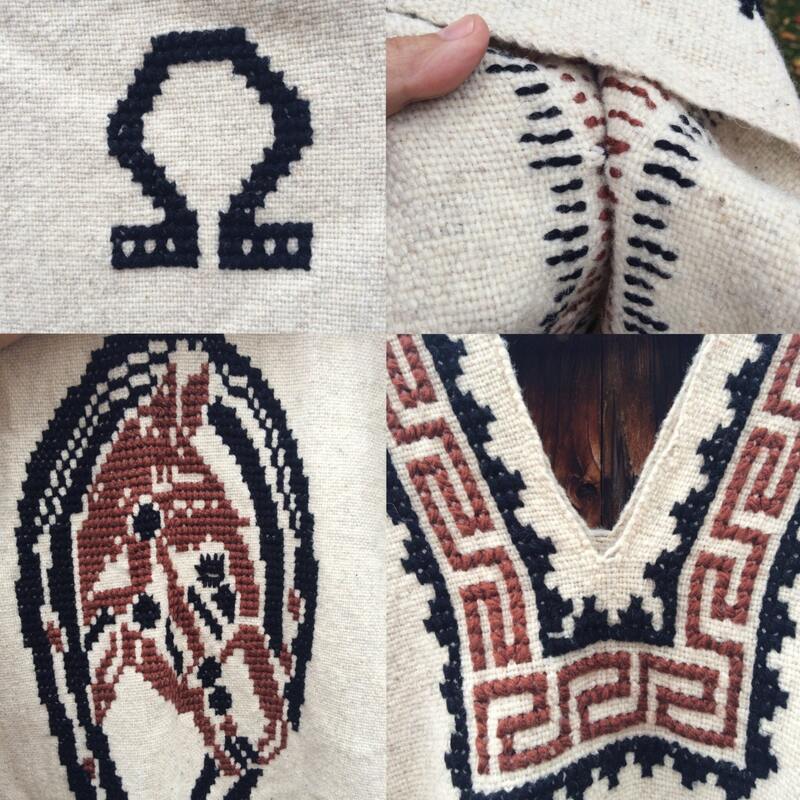 It features the same embroidered design front and back: horse shoes on the front and back shoulders and the bust of a horse surrounded by a horse shoe in the center. No one wore the piece, it was displayed for a while then tucked away, and amazingingly smells nothing of mothballs yet has no moth damage. This is thick wool, and it is not super big (in terms of the size of person it will fit) even though it looks big. The sides are lightly tacked with wool about two-thirds of the way down--see Photo 5, upper right hand corner. 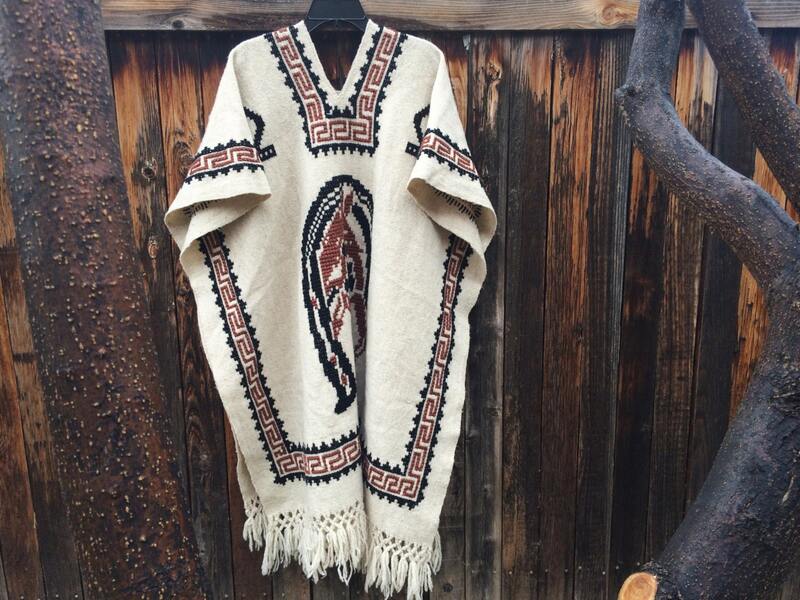 I would not recommend taking out the tack, both because you may accidentally snip more thread than intended but also because those tacks serve to help keep the poncho in place especially toward the bottom where with this length the bottom half might flail while you're in motion. And speaking of length, given how long this piece is, it is ideal for someone relatively thin and tall. Keep in mind that wearing a poncho can feel confining just because of the weight, so leave room to breathe underneath--that's the trick of a great feeling poncho. Side to side when laid flat: 35"
Shoulder to hem, not including fringe: about 39"